HP Makes Blu-Ray player?? Are you really sure? Do I see a USB slot there to satisfy my avi, divx, wmv, mp3 needs? If so, then I like very much! 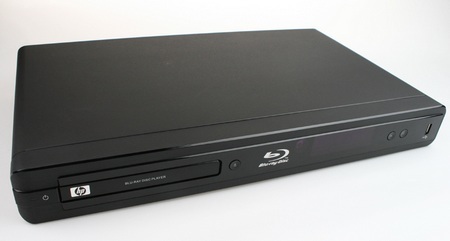 HP releases the BD-2000 Blu-Ray Disc player in Canada. The BD-2000 supports Blu-ray 2.0 Profile offering BD-Live and BonusView. It provides Full HD 1080p output and DVD 1080p upconversion. HP’s Blu-ray player is able to decode Dolby Digital, Dolby Digital Plus, Dolby TrueHD abd DTS 2.0. The HP BD-2000 features Ethernet networking and a USB 2.0 port for media playback and firmware update. Other than HDMI output, composite, component video outputs are also available. The player is available for CA$139.99.